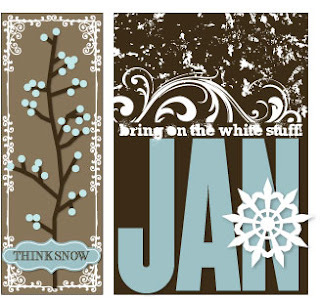 Thought I’d share a little sneak peek of the new This & That: Winter kit! So what I’d like to know from you guys is, do you want to do preorders like I did at Christmas? The kit will be available this week (will still be a couple days), so you would get it immediately when it’s ready. I wasn’t really planning on it, but if there’s enough interest–by leaving me a comment in this post–then I’ll put it up for preorder. Getting excited about this one! Okay, okay. Your wish is my command. I'm so excited. The sneak peek looks awesome. You are so creative!!!! I would definitely be interested in a preorder. It looks fabulous — as always! Can't wait for this my friend!!! Love this one!!! Would love to preorder. Looks awesome. Count me in. Plus wanted to share a tip. I took my Christmas pieces out today and put them in an old plastic case left over from an embossing folder, the acrylic case. Now the pieces will be kept flat and not get messed up in storage and i can see exactly which kit it is. Hope that makes sense. I would love to be able to pre-order, then I can stop checking the blog every ten minutes, just in case! I can't wait for this one, the empty spot on my wall can't wait either! LOVE it! I'm stalking your blog waiting for it to become available. Yes, I'll preorder! Off topic and should be said, but I'm gonna say it anyway: I miss you on the Silhouette blog. The projects over there are a hot mess since you've left. And I've held that in FOR MONTHS. Kit looks interesting, but a snow theme? Sorry, here in Cleveland we're up to our ears in snow and the way I deal with that is to shove my fingers in my ears and sing la-la-la-la-la-la until about April. I'll buy THAT kit. The one that celebrates not being scared out of my wits on my commute to work. Keep up the great work. You're totally inspiring! Caroline, you are sooooo sweet…and funny!! lol I've been thinking the same thing here too. I went out at 9 a.m. yesterday to get my hair done (*ehem* covering the gray), and it was a whoppin' ten degrees and stayed cold all. day. long. Ugh! And thank you to all of you too! I'm glad you are liking even the little sneak peek. Oh, and Rhodonda, great idea! I will be placing my order as soon as get back to my computer. I'm loving This and That!